Nestling in the middle of the NAIT family, the XS is closer in performance to the SUPERNAIT than it is to the 5i and therefore probably the best value in the bunch. 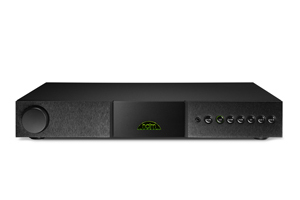 Itâ€™s pure Naim essence concentrated down to a slim, stylish package that packs a real musical punch. The real bonus however can be had with the addition of a Flatcap XS power supply which takes this lovely NAIT to a much higher level, brilliant !